Santa has come and gone. The Christmas present shopping frenzy is over, and now we get ready to say goodbye to 2017. 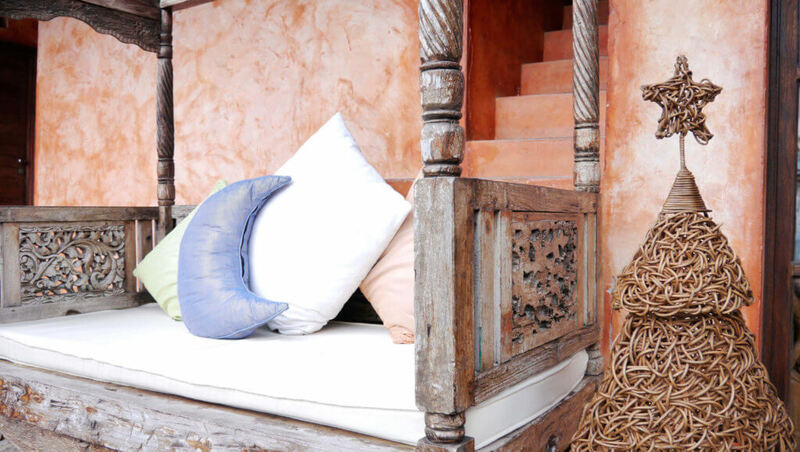 Laluna, as you may have gathered is a laid back, chilled out vibe, boutique hotel in the Caribbean. A Caribbean Christmas at Laluna starts with the Christmas decorations going up before the 14th December, (which is the hotels’ anniversary of 17 years this year). White Indian cotton fabrics are draped around the wooden pillars of the open-air lounge and restaurant dining room, both situated on the beach. 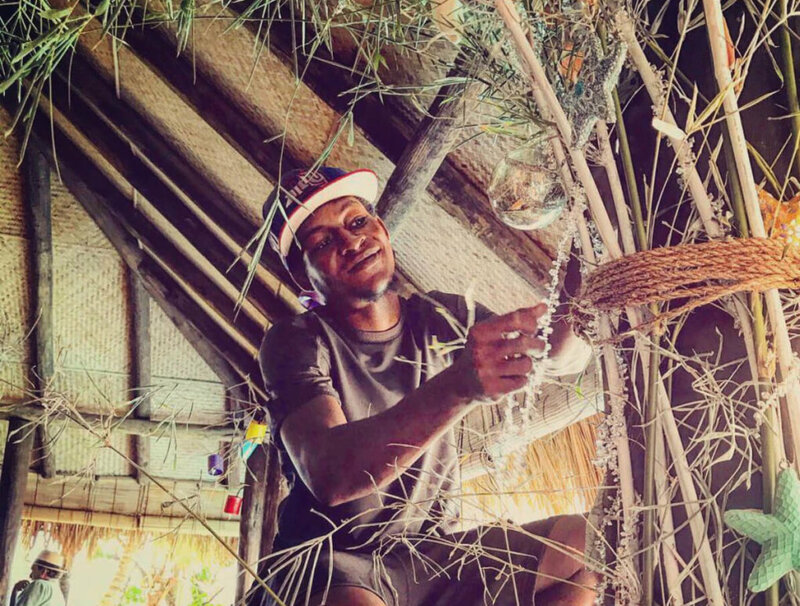 Keeping in the creative spirit of Laluna’s style, we created a new Christmas Tree this year made out of Bamboo. 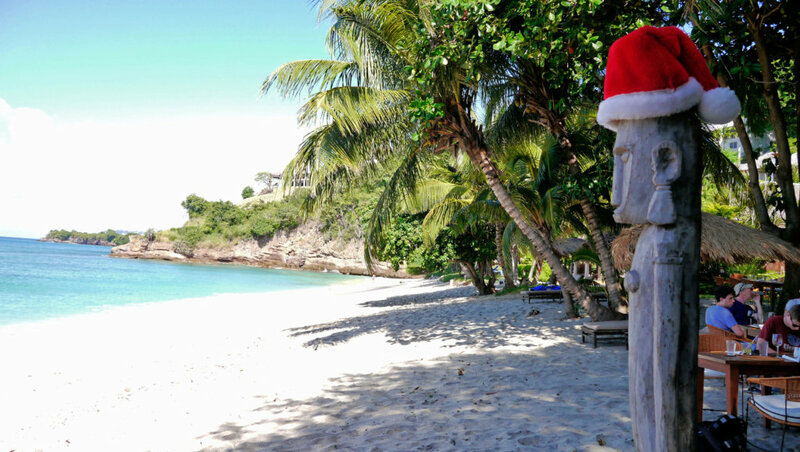 A Caribbean Christmas at Laluna is spent, as it should, on the beach. Glorious weather permitting, as is usually a guarantee for the 25th December, most of the restaurant chairs and tables are repositioned on the beach. This allows for the perfect setting for our Christmas BBQ just steps away from the water’s edge. After a relaxing lunch on the beach, Burn off some of the calories by grabbing one of the hotels complimentary kayaks or standup paddleboards and head over to one of the neighbouring bays. Or just chill out in the pool on a giant swan. Happy Hour at the Sunset Bar on the beach, is prime time to catch up on exotic cocktails, like a Sorrel Mimosa. 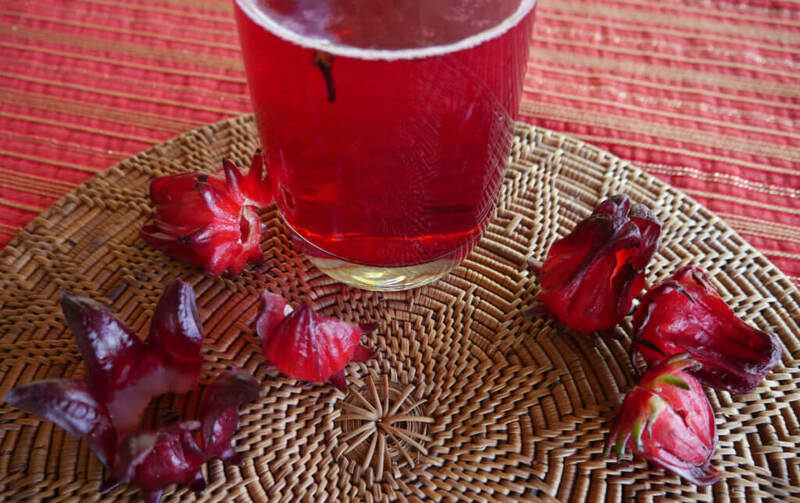 Sorrel is a drink that is made only around Christmas time in the Caribbean. Made from the flower of the Sorrel plant. This fruit is boiled in water and soaked overnight, and pairs remarkably well with Prosecco. All in preparation for New Year’s Eve, where dinner is served family style and you dance in the midnight stroke, to the shouts of “Happy New Year!”. All part of a Caribbean Christmas at Laluna.